...they now? For Chris Rho, Steds sophomore, the past ten days have been spent traveling west on the historic, scenic, and yes, even romantic, Route 66 to its terminus in Santa Monica, California. While it was a long trip, it was well worth it, having the opportunity to see places that are usually flown over. 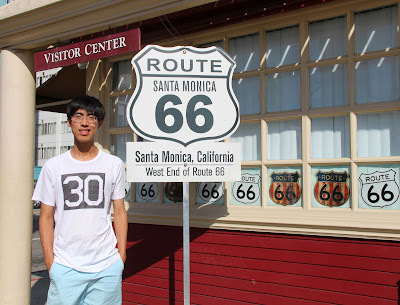 Of traveling Route 66, Rho said, "Although California's weather was jaw-dropping and the beaches of the Pacific coast were quite better than the "beaches" of Lake Michigan in the Midwest, I must say that the gas prices along with the terrible traffic in California really balanced out the benefits and costs of living in California!" 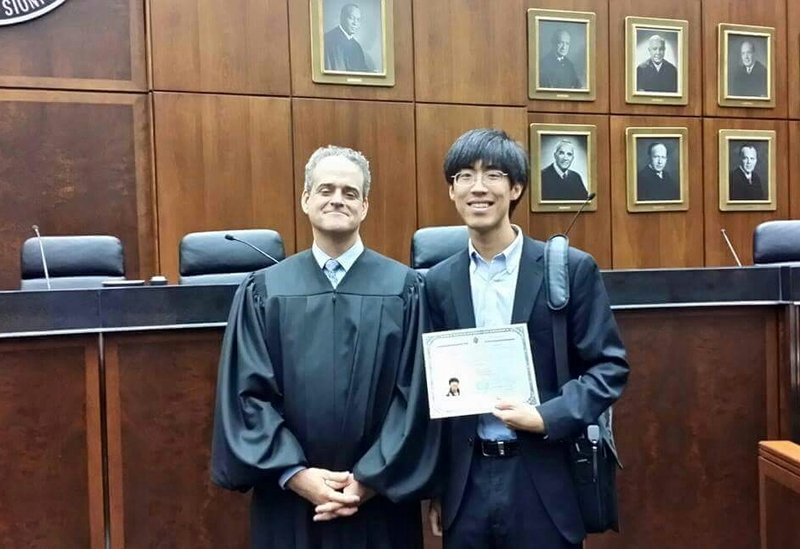 Before leaving on his trek out West, Chris became an US citizen! In a small ceremony in Chicago, before the Honorable John Blackey, federal judge and Domer, Chris gave his oath, becoming an American in process. CONGRATULATIONS CHRIS! 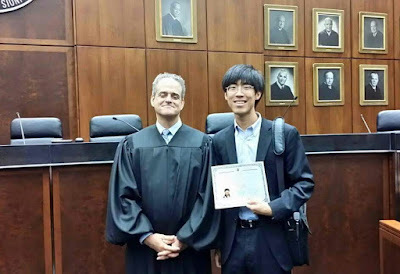 On Rho becoming a US citizen, Fr. Ralph said, "This is a great day. Chris is a part of the greatest Notre Dame residence hall, Steds, and now, he's a part the greatest nation in the world too!"